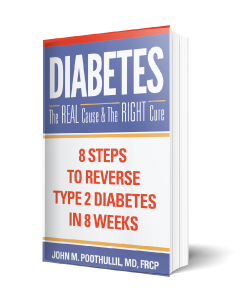 The following post is an excerpt from my new book, Diabetes: The Real Cause & The Right Cure. In this section I discuss the topic of knowing your authentic weight versus judging yourself harshly against societal standards. Here I speak to women in particular. I highly encourage you to read the book and learn how you can live a better life when you identify with your authentic weight. The worst way to lose weight is to focus on fixing your body image (an external motivation), rather than on getting in touch with your authentic weight (an internal motivation). This problem is especially true among women in our society. The desire for attention and acceptance by fellow humans, especially those who are considered “better” than you in appearance, is embedded in human nature. But in a society that uses the physical figure as the defining feature of female attractiveness, a media industry that promotes the feminine body appearance as the easiest way to appeal to others, and a weight loss industry constantly promoting “easily achievable” targets, too many women are fixated on controlling their body weight as a means to feel happy and confident. The tragedy is that body appearance for women is fast becoming a multi-generational problem. A young girl growing up today in a household with a mother who herself has failed to maintain an authentic body weight may be lectured to about not gaining weight. 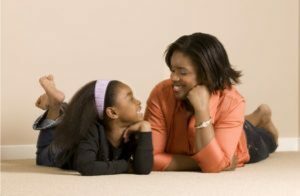 The mother, unable to look at the reasons for her own failure, may be motivated by a desire to spare her daughter the frustration, humiliation, and feeling of helplessness that came with her own repeated attempts at weight maintenance, but any nagging can have a psychological impact on her daughter. results as their mothers because they never learned anything meaningful about weight maintenance other than how they are supposed to look. The mothers never discuss with their daughters the important topics related to health and weight for lifelong happiness rather than external beauty and appearance. I feel this is a vicious cycle that requires action by the medical community. We need more medical professionals to promote the body’s natural regulatory mechanisms about food, teaching moms and daughters to recognize and respect when they are hungry and when they are satisfied. Without such guidance, we will continue to have generations of mothers who teach their daughters what they should look like based on their own failed experiences and expectations of beauty. Girls, in turn, will continue to feel pressure to disconnect from their own natural control mechanisms of food intake in favor of media and stereotyped cultural images of beautiful women who are held out as models of appearance and lifestyle—while teaching them nothing about health and longevity. To understand this in more detail, purchase my book. It is important to understand the nature of your eating habits in order to make a change in them. PreviousPrevious post:Food for Thought – Literally!NextNext post:Carbs or Fats: Which is Worse?